OTT solutions are widely being promoted as the future of broadcasting, however, as audiences demand greater image definition, can they deliver the content in optimum quality? And what role does satellite play? 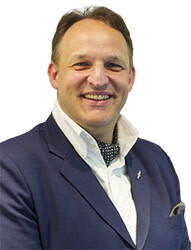 Markus Fritz, Eutelsat’s EVP of Commercial Development and Strategic Partnerships, explains how satellite fits into this evolving landscape, and how hybrid satellite and OTT solutions can help broadcasters optimise their services and reach more homes. How are consumer viewer habits changing? Viewing habits are diversifying as people want to watch content wherever and whenever. OTT solutions meet this demand, but the strength of traditional linear TV remains inherent. The television is a central part of our daily lives with professional production and governance making it a trusted resource. It is also the only medium enabling advertisers to reach several million homes at once. Satellite TV is still growing and will continue to do so for many years to come. Euroconsult’s 2017 Satellite Communications and Broadcasting Market Survey foresees an additional 4,200 satellite TV channels over the next ten years, and the broadcast of close to 45,700 channels by 2026. A recent study of global pay-TV subscribers by Dataxis saw a 3% growth in satellite TV subscribers between 2016 and 2017, taking the pay-TV audience to 245 million homes. Satellite delivery continues to gain market share worldwide, and is predicted to grow by 50 million homes between 2016 and 2021 to 430 million homes - 26% of the global market according to Digital TV Research 2016. We are seeing a move, however, towards more hybrid solutions involving both DTH and OTT, with OTT often used in addition to traditional services as consumers want more on-demand content, along with new ways to access it. In the United States, for example, a 2017 comScore report on cross-platform usage found live TV viewing still dominated total viewing time by 84%. Two-thirds of OTT households use streaming to supplement their traditional reception means, be it cable or satellite, and watched more than five hours of live TV for every one hour of OTT content. OTT services depend on a shared network, where the bandwidth is used by a number of services. This can lead to quality issues when large amounts of internet bandwidth are consumed. 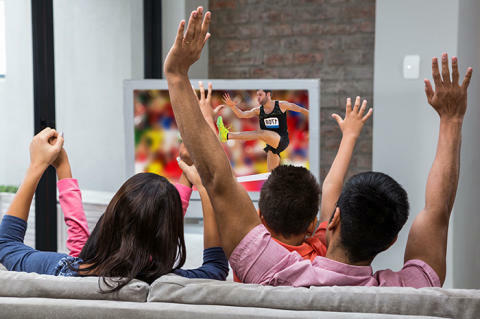 During peak hours, and for popular content such as sports or TV series, OTT distribution amplifies network overloading which can cause buffering, delays, poor picture quality and even loss of service. Obviously, this has a major impact on customer satisfaction. While UHD delivery can be challenging via OTT platforms, even in Europe, satellite bandwidth handles UHD seamlessly. This is why already five UHD channels have chosen the HOTBIRD satellites to feed both DTH and terrestrial networks in Europe and MENA. Satellite delivery guarantees an optimal service quality, as bandwidth is entirely dedicated to the video service, unlike OTT where bandwidth is shared with other services, and amongst all the viewers. How is satellite adapting to mobile viewing? Previously limited by the absence of a return link, the satellite user experience is catching up, as Eutelsat’s multiscreen video delivery solution SmartBEAM and terrestrial technologies provide alternate return paths. We work closely with customers to design solutions and extend footprints, helping them maximise reach and monetisation, and enter markets that would otherwise be impossible today. SmartBEAM uses a combination of satellite and Wi-Fi to deliver IP-native video content to end-users, giving access to TV programmes on portable devices. 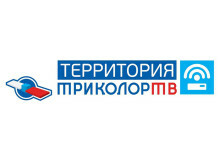 Russia’s leading TV operator Tricolor TV has recently launched the SmartBEAM solution to enable consumers in hotels, airports, railway stations and other public venues to watch a bouquet of 50 TV channels on their mobile devices without consuming their mobile data allowance. SmartBEAM gives users better picture quality compared to unmanaged terrestrial networks and Tricolor can guarantee quality of service to end-users. What are the benefits for broadcasters choosing a hybrid satellite/OTT delivery solution? 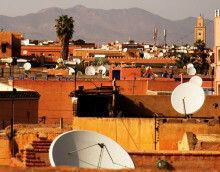 Satellites are a very cost-effective way to reach large numbers of people, particularly in regions with widely dispersed populations and in challenging environments. They cover all households within the footprint, including those unable to access OTT services due to insufficient internet bitrates, enabling you to supply all citizens with a similar service across regions instantaneously, and maximising your route to market as they deliver to all networks. While OTT costs rise with the number of viewers, satellite costs remain fixed, making it a more cost-effective solution for large pay-TV platforms. In Western Europe, satellite is more cost-efficient than OTT from 50k viewers. In emerging markets, this threshold drops to just 15-20k viewers for an average daily viewing time of 30 minutes. Combining the best of both worlds, a hybrid offer of linear TV reception via satellite and on-demand services via OTT will be the most viable, future-ready solution to deliver a rich portfolio of video content. By enabling clients to reduce the complexity and cost of their operations in a new digital world, we continue to enhance satellite efficiency, enabling clients to maximise their service potential while minimising the complexity to do so.